The Championships will be in all weapons and genders. Location: Highbury Fields. It is near Highbury and Islington tube (Victoria line or Silverlink). Walk out of the tube and you'll see Barclays bank on the other side of Holloway road. Highbury Fields are just behind it. Free parking after 1.30 pm. What to bring: something to drink, something to eat, something to play and fence with. Contingency plan: In case of heavy rain or snow let's meet instead at Alwyne Castle pub nearby (83 St.Pauls Rd, London, N1 2LY). First time in the UK! One class only! London Fencing Club invites you to the unique workshop which will teach how to merge the passion of tango with the power of fencing! Tango Fencing is the ultimate martial love dance of our time teaching to be gracious yet strong, playful yet precise. We will work on a fusion of fencing and tango steps combined with the elegant blade work done to the rhythms and sounds of Argentina. It'll help to develop co-ordination, elegance, sense of rhythm and general feeling of well being. You will be able to practice Tango Fencing on your own or with a partner. Previous tango or fencing experience is welcome but not crucial for participation in this workshop. Places limited, so sign up now and do not miss this unique opportunity! If you're interested in attending competitions, all you need to do is to get the full set of kit, BFA membership and have a look at the competitions' calendar on BFA website. There are plenty of competitions open to everyone and sometimes there are also special competitions for novices (For example there is one coming up on 28 June in London. Novice being any fencer who has not made top 300 men's or 150 women's UK ranking). Please talk to our captains, veterans and other kind people for more guidance and to arrange going together with the others. was a success with plenty of training and culture. 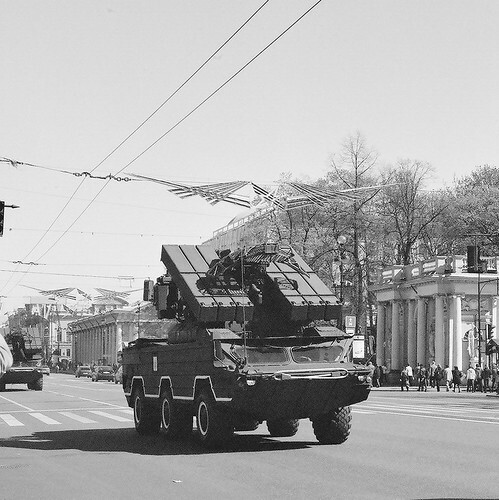 Chrissy won 3rd place in the Championships of St.Petersburg for which she was given a certificate, a medal and treated to a procession of armored rocket launchers (below, photos courtesy of Victoria). More Victoria's photos here. There are also Jo's and Rachel's photos on Facebook. If your class falls on a bank holiday please feel free to come to a different class instead. 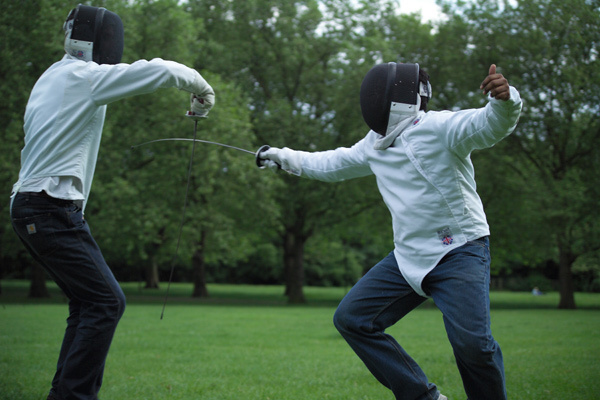 A page packed with information about fencing equipment suitable for beginners as well as advanced fencers is available on the club's website. The unique feature of the page is user reviews of the UK fencing suppliers which will allow you to choose your dealer relying on the recommendations of those who already went, bought, tested and know what they're talking about.